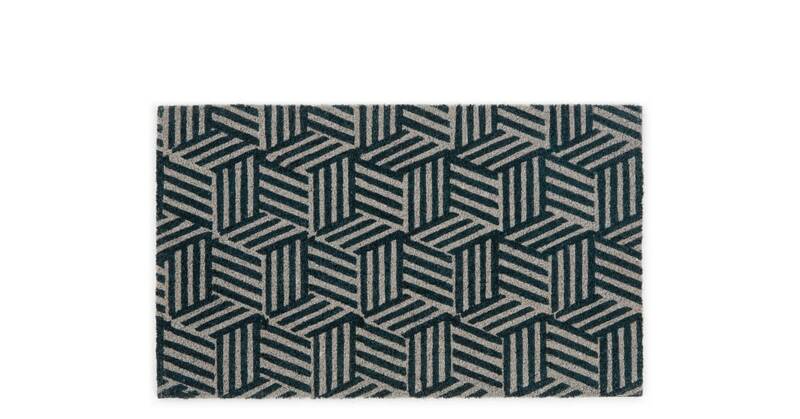 In an optical cube pattern that will have you captivated, our Cubus doormat is refreshingly modern and practical too. Crafted in coir - a tough blend of coconut fibre, Cubus can be easily brushed to remove dirt. We like to make life simple. Place it on show by the front door, or in a sheltered spot outside. Cubus keeps muddy footwear from spoiling your living space wherever it’s placed.